Valentine’s Day is usually associated with chocolate and flowers, but it’s also a great time to show appreciation in the workplace! Don’t miss this opportunity to celebrate the strong (non-romantic) bonds between coworkers. Remember giving your schoolmates cards and candy to celebrate? You’re all grown up now, but it’s still a great day to appreciate your team. 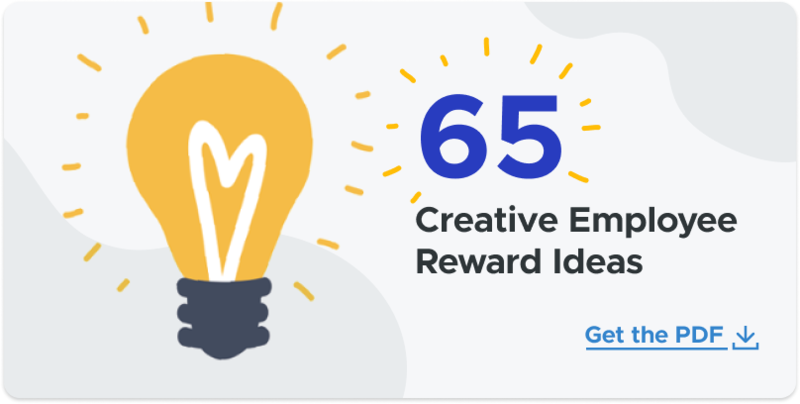 Unfortunately, a shocking 87% of employees don’t feel engaged at work, so why not use Valentine’s Day to recognize your team in a fun and appropriate way? 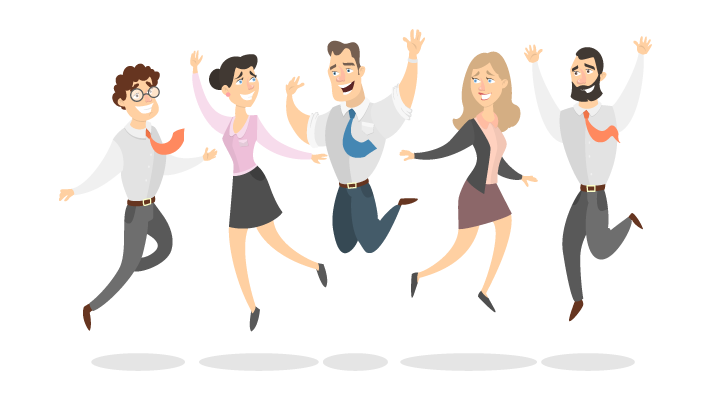 By making your team feel appreciated, you can increase engagement, and research shows that engaged employees are more productive and less likely to seek out a new job. Improve camaraderie: Celebrating together and engaging in joint activities can boost team morale, spark a feeling of togetherness, and make employees feel more engaged. Promote appreciation: Employees feel rewarded and motivated when someone takes the extra effort to let them know they're appreciated. Increase positivity: Simple team activities, like decorating cookies and playing bingo, can decrease stress levels, encourage creativity, and most importantly, increase positivity in the workplace. Encourage a caring environment: By celebrating Valentine’s Day in an inclusive way, teams can foster a caring environment, where individuals feel psychologically safe. Brighten the mood: This time of year can be particularly challenging for many people, falling shortly after Blue Monday. By organizing some fun Valentine’s Day celebrations, you can lift the mood and spread some cheer. Grab some bagels, fruit, and pastries for the office. Decorate the table with a Valentine’s Day tablecloth, flowers, and scattered paper hearts. Sprinkle in some Sweethearts candy (if you can find a bag). Fill goody bags for every employee with candy, gift cards, and a handwritten note. Don’t forget the dietary restrictions and preferences of the team. Pinterest is calling. 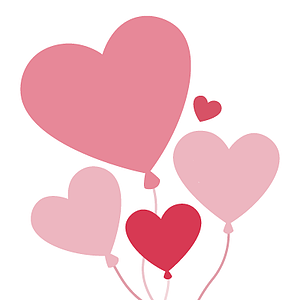 Place pink, red, and white balloon bouquets around the office, stick hearts on computer monitors, and decorate chairs with streamers. Place some edible flower arrangements in the lunchroom. Leave mason jars filled with candy treats on desks as a nice morning surprise: Fill a mason jar with candy and chocolates, cover the top with a Valentine’s Day cupcake wrapper, and add a colorful ribbon. Attach a fun note, and place a sticker on the jar with each person’s name to make it personal. Invite your team to start work later than normal to focus on themselves, partners, friends, or family. You’ll find your team more refreshed and appreciated. Bring heart-shaped cookies, prepare a selection of teas, and break out the cucumber sandwiches! Decorate the table with a red tablecloth and scattered hearts. Schedule the tea party for the early afternoon, when everyone’s energy is getting low. Take into account any dietary restrictions and preferences. Create a list of five charities, like the American Heart Association, St Jude Children’s Research Hospital, The Salvation Army, The Humane Society, and The American Red Cross. Place a jar for each charity in the lunchroom along with a short description of the charity. Give each employee a red paper heart with ‘$10’ written on it. Ask everyone to put the paper heart in the jar of their preferred charity to donate $10 from company funds. Hand out bingo game sheets and chips to employees who want to participate, and play some office bingo! Prizes can be anything, from gift cards to local restaurants to lunch with the CEO. Invite a meditation or yoga instructor during the lunch break to talk about how to introduce mindfulness into your life, and finish with a session for the team. Fill some large jars with candy or chocolates and have everyone guess how many items there are in the jar. The closest guess wins and gets to take the jar home. Of course, you’ll have to count the candy first! Set up a bulletin board, spread out markers, bring push pins, and hand out paper hearts with the following request: ‘Share some ways you’ve felt appreciated at work’. Leave the board up for the next week to encourage appreciation. Bake or buy heart-shaped sugar cookies (or alternatives based on dietary restrictions/preferences), and place them in the lunchroom for employees to decorate throughout the day. Provide sprinkles, different colors of icing tubes, and candy for decorating. Offer cellophane bags and colorful ribbons for those who want to take their cookies home or gift them. 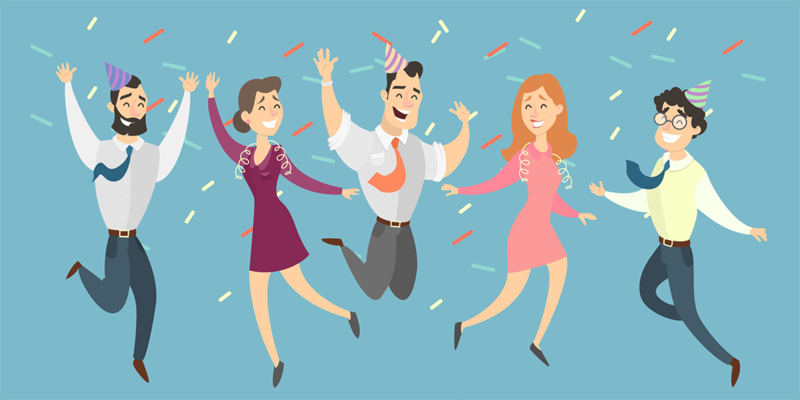 Consider using an employee recognition program like Bonusly to show your appreciation and give your team rewards. Remind your team that Valentine’s Day is a great day to share their appreciation with colleagues. Bring in a professional masseuse or masseur, and offer 15-minute massages. Massages can reduce stress, improve morale, and decrease injuries. And don’t forget your remote workers! Send them an e-card, mail them a goody bag, and invite them to participate in Valentine’s Day activities using online conferencing. Make this Valentine’s Day one that your team will remember and look forward to next year! Deborah Galea is a Product Marketing Professional with 15+ years of experience working in the enterprise software industry and is specialized in positioning and launching B2B software and SaaS products. 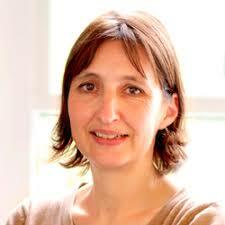 Deborah co-founded the email security company Red Earth Software which was acquired by OPSWAT in 2014.